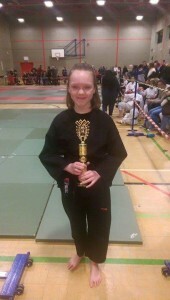 Karate kid comes second in an all Wales competition. | News by Wales Express News, People Before Profit! Home Local News Karate kid comes second in an all Wales competition. Karate kid comes second in an all Wales competition. 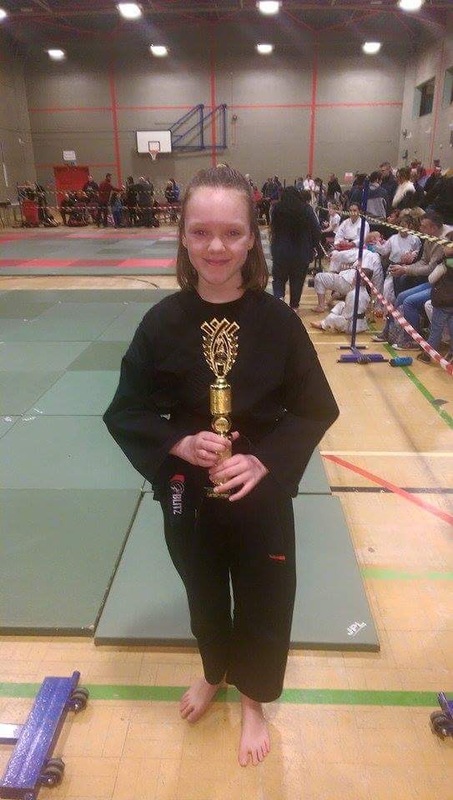 A young girl from Llanberis yesterday came second in the kata section of the World United Martial Arts Federation Welsh Open at Eirias Park, Colwyn Bay. Cadi Sian Thomas, 11, attends Ysgol Dolbadarn in Llanberis. Karate kid comes second in an all Wales competition. Cadi Sian Thomas, 11, attends Ysgol Dolbadarn in Llanberis. She trains at Pritchards Martial Arts (PMA) academy, in Caernarfon, which is owned by Chris Pritchard. Cadi has been training since the age of four after a friend saw an advert and she thought it would be fun. Her parents Trystan and Nia Thomas say that karate has helped Cadi to develop in confidence, concentration, self discipline and to have a positive attitude! She became a black belt at the age of nine, and her brother Caio also became a black belt at the age of eight! Both parents are extremely proud of her. They said: “She is very dedicated and trains between three and four times a week! She is thrilled with her success as are we! Panto tickets selling out fast in Glan Conwy.